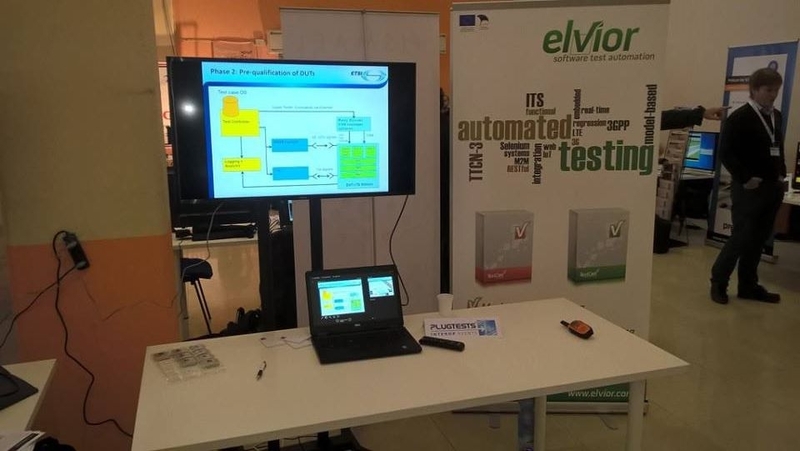 Elvior TestCast was used on ITS plugtest. ETSI ITS plugtest took place 9-18.November at the Port of Livorno (Tuscany, Italy). For more information please visit event website. 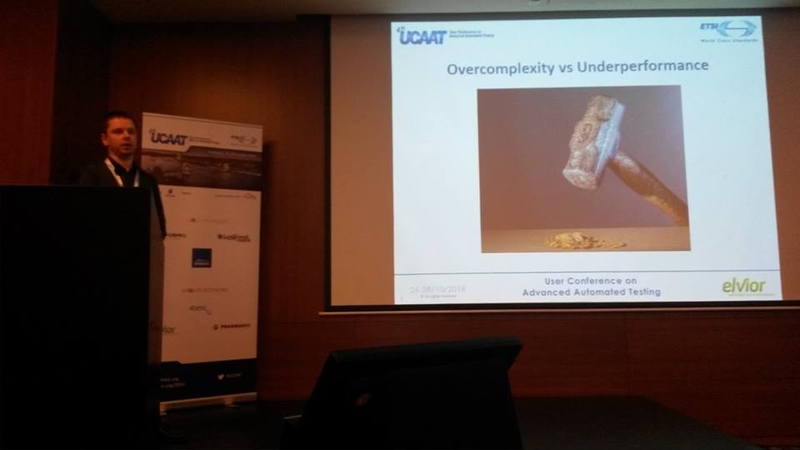 UCAAT 2016 was held in Budapest, Hungary from 26 to 28th of October; 4th UCAAT brought together more than 220 test automation practitioners and researches. During 3 fruitful days test automation specials from industry and academia presented their work: there was 2 keynotes, 4 tutorials and 27 presentations. All presentations are available here. 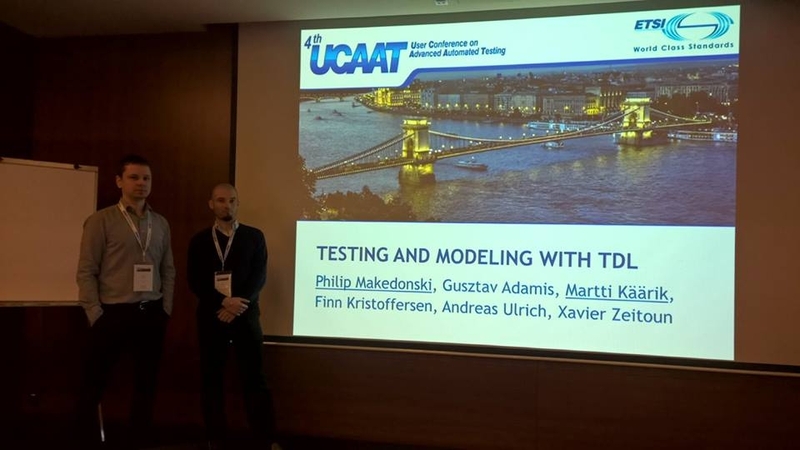 Martti Käärik – Elvior CTO – was co-author and presenter of tutorial “Testing and Domain-Specific Modeling with TDL” and presenter of work “Web Test Automation Using TTCN-3 and MBT Framework”. TTCN-3 in RESTFul APIs testing. TTCN-3 as powerful test automation technology can be effectively used in RESTFul API-s testing. Elvior has released “out of the box solution” for steps above; introductory slides are available here; for more information please contact elvior@elvior.com . Elvior has released TestCast MBT 3.2. This new release is less resource demanding and gives better user experience in applying MBT (Model Based Testing) on your test automation projects. TestCast MBT is comprehensive end-to-end MBT tool supporting TTCN-3 and Robot underlying test automation frameworks. TestCast MBT Data sheet is available here. Customers can download new release from designated download areas in Elvior online support. For more information and demos please contact sales@elvior.com. Elvior has been selected to provide software development environment and test services for European Spallation Source (ESS) in Sweden. ESS should become world’s most powerful neutron radiation source. It will beat current neutron radiation sources almost by 100 times. The tender process was worldwide and Elvior was one of the nine companies that qualified in software development environment and test services lot. Successful participation in ESS tender is considered as a significant benefit for Estonian scientists and IT-sector. They can now create new knowledge and discoveries with access to state of the art science and radiation data. 100 companies around the world tendered for ESS contracts and 29 were chosen as a project partners. AS Helmes and AS Proekspert, also from Estonia, were qualified in software design and development services lot. Future technologies are developed at international research centers like ESS, which is a joint venture for 17 European countries (including Estonia), that aims to build and maintain next generation science infrastructure for material research with neutrons. 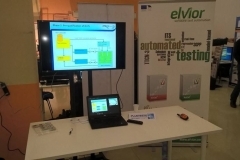 Fourth ETSI’s UCAAT Conference, that focuses on application aspects of automated testing and standardized test specification, is sponsored by Elvior. UCAAT is a great opportunity to meet other software testing enthusiasts and share contemporary test automation technologies. Martti Käärik (Elvior CTO) gives a presentation on web test automation using TTCN-3 and MBT framework. See more from UCAAT 2016 programme. This year’s event is held in Budapest, Hungary from 26-28 October and hosted by Nokia and Ericsson. Eearly bird registration is still available until 15th of September 2016. See registration options on UCAAT homepage. Elvior has released TestCast T3 version 6.10.1. This major release has new enhanced TTCN-3 attributes handling mechanism which results shorter compilation times and lower memory consumption. TestCast 6.10.1 includes several new tools like expand template, add template wizard and code snippet. Please refer release notes for more details. Customers can download this new version of TestCast T3 from Elvior online support. 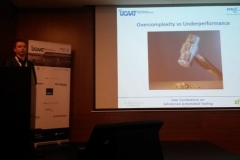 Fourth UCAAT is hosted by Ericsson and Nokia from 26-28 October 2016 in Budapest, Hungary. The event is organized by European Telecommunications Standards Institute. UCAAT attendees have great opportunity to discover and learn new modern test automation approaches, technologies and strategies. It is a great place for software testing tool vendors to meet their users. See more on UCAAT 2016 homepage.